Let’s face it, pests see your home as an ideal spot to visit or take up residence. Some come for warmth, others for shelter, and some looking for food. Regardless, unwanted pests are a nuisance and can cause structural damage to your home. You might be experiencing the presence of cockroaches. The saliva, feces, and shedded body parts of cockroaches have been know to trigger both allergies and asthma. Like dust mites, airborne cockroach allergens can aggravate symptoms. FACT: 63% of homes in the U.S. contain cockroach allergens according to the National Pest Management Association (NPMA). Contact your local pest management professional to conduct a thorough inspection of your home and provide any treatment options necessary to remove the unwanted pests from your home. Schedule an appointment with an allergist who can conduct a skin test to determine if you have a reaction to cockroach allergens. If the reaction is positive, you may be prescribed a prescription, over-the-counter medicine, or allergy shots to help your system become less sensitive to these types of allergens. Maintain a clean house that includes regular sweeping, mopping, and wiping down of all counters, sinks, stoves, and floor boards. Refrain from allowing piles of “stuff” to develop such as newspaper, dirty dishes, laundry, or trash. Consider using trash cans inside your home that have a lid that can be sealed. Seal any gaps, cracks, or openings around doors and windows as well as along the foundation and roofline of your home. Seek help from a professional if needed. 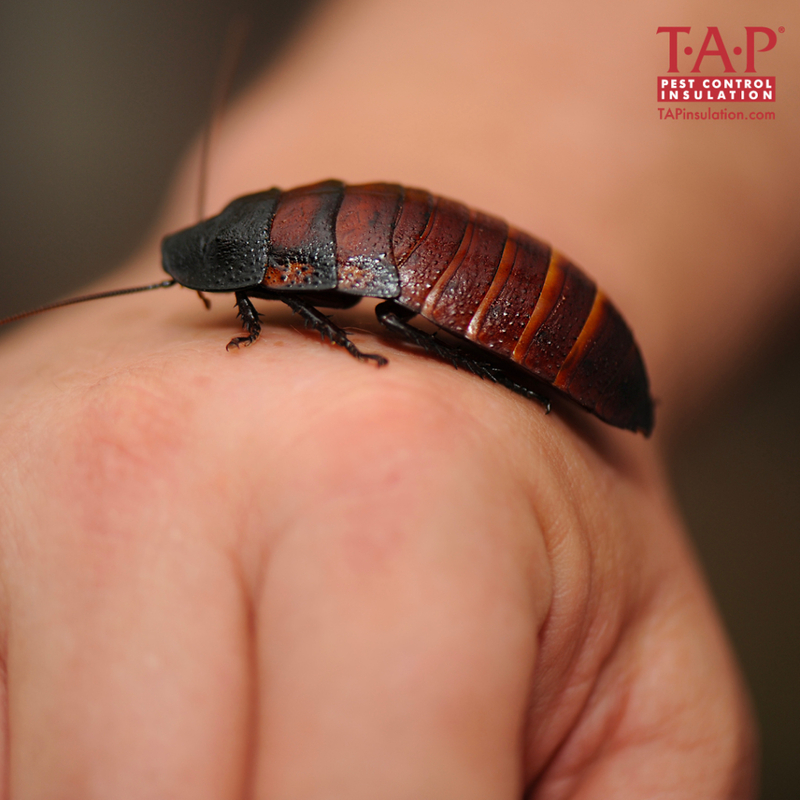 Ask your pest management professional to install TAP® Pest Control Insulation in your home to control pests, including cockroaches, from entering your home via the attic. While cockroaches are unsightly pests, they can also be a trigger for allergies or asthma causing you serious health issues over time. Stay diligent to maintain a comfortable home for your family.